Why Do Mosquitoes Exist & What Is Their Purpose? ​​Why Do Mosquitoes Exist & What Are They Good For? Most people associate mosquitoes with itchy bites, disease transmission, or both. In this article, you will discover the purpose of mosquitoes beyond the role of pest. I will explore the history of these insects spanning back many centuries. You will also learn why mosquitoes are important and what would happen to the world without them. How Long Have Mosquitoes Existed For? What Purpose Do Mosquitoes Serve? What Would Happen If Mosquitoes Ceased to Exist? Mosquitoes are a member of the Culicidae family, which includes roughly 3,500 species. Only female mosquitoes feed off blood and thus can transmit disease. The males survive off plant juices (e.g. nectar) instead. In certain species, the females occasionally consume plant juices, too. There are many species of mosquitoes. Unlike other bloodsucking insects, mosquitoes tend to show a preference for particular hosts. It is challenging to date the exact origins of insects compared to larger creatures. Insects like mosquitoes are fragile, and it is likely that older fossils have been lost to history. The oldest mosquito fossil discovered is from the Cretaceous period. This era began about 145 million years ago. The fossil, which was found encased in amber, is known as Burmaculex antiquus. Unlike today’s mosquitoes, Burmaculex antiquus possessed wings without scales. This ancient mosquito also had a shorter feeding tube compared to today’s mosquitoes. It is thought to be an intermediate species and is likely a mix of modern-day mosquito and midges, another member of the Culicidae family. The second oldest mosquito fossil is the Paleoculicis minutus. It is dated toward the end of the Cretaceous period. This fossil shares more in common with present-day mosquitoes in appearance. The mosquitoes that are closest to the ones we know likely evolved during the Cenozoic era. This period began after the Cretaceous period 66 million years ago. We are still living in the Cenozoic era today. Certain species of mosquito have evolved to prefer biting humans over other mammals. In insect terminology, this means they have become domesticated. Aedes aegypti is one such example of a domesticated mosquito. The females of this species originally fed off wild animals in African forests. As humans began populating more areas across the globe, it switched host preference. To human beings, mosquitoes are undoubtedly nothing more than pests. Domesticated mosquitoes that actively prefer biting humans are transmitters of disease. Mosquito-borne illnesses have tripled from 2014 to 2016 in the United States alone. However, this does not mean that mosquitoes serve no purpose. Every living creature, great and small, plays a role in supporting our world’s ecosystems. An ecosystem is an environment in which numerous factors contribute to its survival. Both live organisms and external factors (e.g. climate, air quality) exist in balance. When one aspect of an ecosystem is affected, it can influence the entire system. Changing the environment or exterminating a species can alter it—for better or for worse. Mosquitoes are unique because of their ability to live in all sorts of environments. They inhabit standing water during the larval stage of development. This means they can contribute to aquatic ecosystems. Fish and certain insects residing in bodies of standing water eat mosquito larvae. The larvae themselves eat organic debris (e.g. algae). Of course, these useful traits do not apply to so-called domesticated mosquitoes. These species prefer to lay their eggs in standing water close to their human hosts. For example, abandoned pools or buckets left to accumulate water. Adult mosquitoes are also important in some ecosystems. As with the larvae, they are a source of food for animals, ranging from bats to lizards and frogs. Unlike the females, male mosquitoes are vegetarian. They feed off plants rather than blood. This means that the males are pollinators. They are in the same category as helpful insects, such as bees. The male Aedes communis mosquito helps to pollinate the blunt-leaf orchid. When feeding from the flowers, pollen attaches to the mosquito’s eye. When this pollen comes into contact with another flower, pollination occurs. It is clear that mosquitoes have an important role in certain ecosystems. Still, it is a fact that they can carry many deadly diseases. Malaria results in the deaths of hundreds of thousands per year, primarily in Africa. With the spread of such diseases rising, it is natural to consider a world without mosquitoes. Admittedly, killing off mosquitoes is far easier said than done. Additionally, not all of the estimated 3,500 species bite humans and carry disease. The mosquitoes we consider dangerous pests only make up a small percentage. There is also little research available on mosquitoes as a whole. 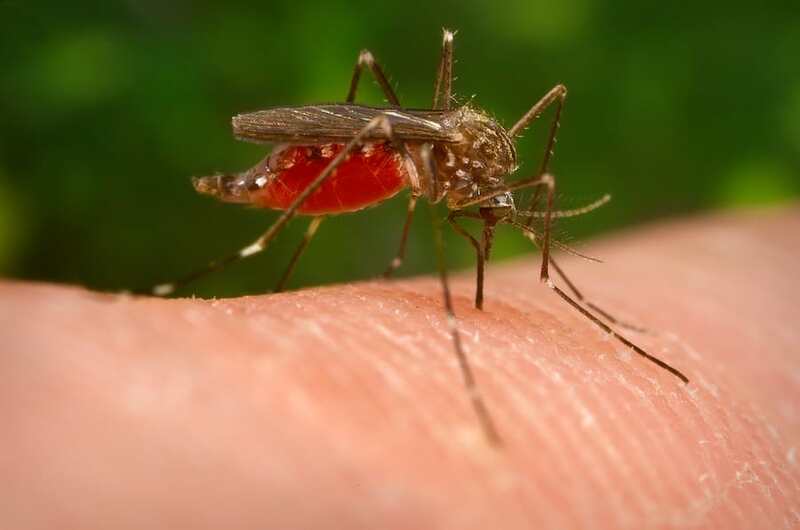 The types of mosquito that carry disease have been extensively profiled and researched. Comparatively, the thousands of other species have been somewhat neglected. It is unsure what—if any—purposes these mosquitoes may have. It could be dangerous to eradicate them. The option of a world without mosquitoes might be in our future. You can credit advances in genetic engineering for this possibility. These technologies can help create pesticides capable of killing off the entire species. Trials have shown such pesticides are successful suppressing mosquito populations. However, if mosquitoes abruptly went extinct, it is difficult to predict what would happen. Most organisms that eat mosquitoes have a varied diet. The so-called mosquito-fish does eat large quantities of mosquito larvae. Although, it also consumes other small invertebrate. Adult frogs will eat mosquitoes, but they are not their sole food source. The same is true of bats and purple martins, a type of bird (but ironically, crane flies, also known as 'mosquito eaters', do not eat them). This does not mean that extinction will not have an impact on the environment. A lack of data on all mosquito species makes it impossible to predict what could happen. Researchers have spent time investigating the potential of a mosquito-free world. They have come to the same conclusion. As we have established, mosquitoes have existed for millions of years. Wiping out such an organism without fully understanding the consequences is unwise. It would not be easy to repopulate the world with mosquitoes. Although these insects can be a nuisance to us, the purpose of all species of mosquitoes is yet to be defined by science. It is still uncertain as to whether these insecticides should be applied until we have more information.